Called once the "metropolis of the universe and the garden of the world" , Cairo has long been on my list of places to visit - that magical location which inspired the Arabian Nights; the place where you also experience Persia, Mesopotamia, Syria, and the Maghreb; and then the vicinity of the ancient Egyptian pyramids makes it even more tempting. And so, I gave in to the longing, and went. 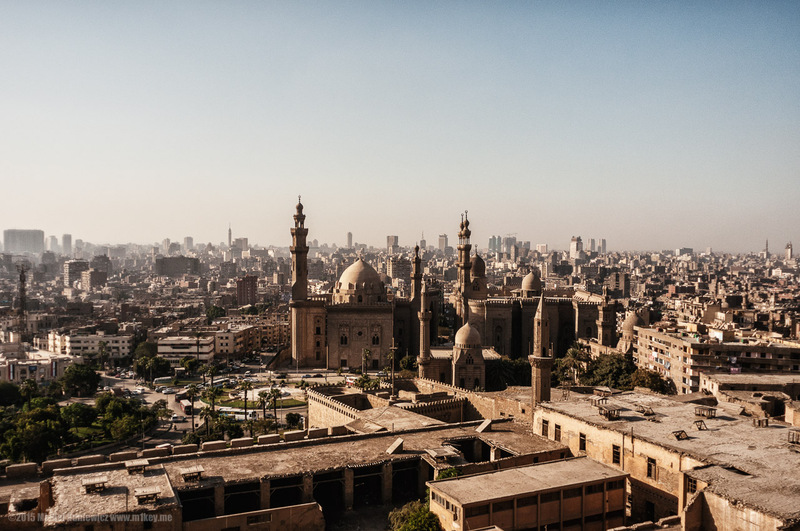 Unlike the pyramids, Cairo itself isn't all that old - it was founded in 969, which means that it's a lot younger than Paris, London, Kiev, or Cracow. Either way, it's enormous and hopelessly congested, so if you're going, book a hotel near the centre. 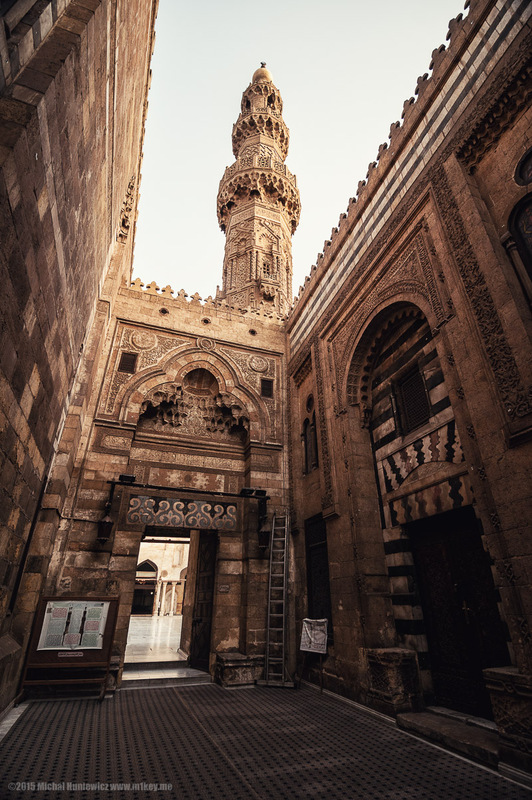 In this gallery, we'll have a look at the Islamic monuments, while the second one will focus more on ancient Egypt and Christian Egypt. Sources: 1,	2,	3,	4,	5,	6,	7,	8,	9,	10,	11,	12,	13,	14,	15,	16,	17,	18,	19,	20,	21,	22,	23,	24,	25,	26,	27,	28. "Don't worry! You will not be kidnapped." was the welcome I received at the Cairo Airport. "Really, don't worry, habibi." Maybe I just looked worried. 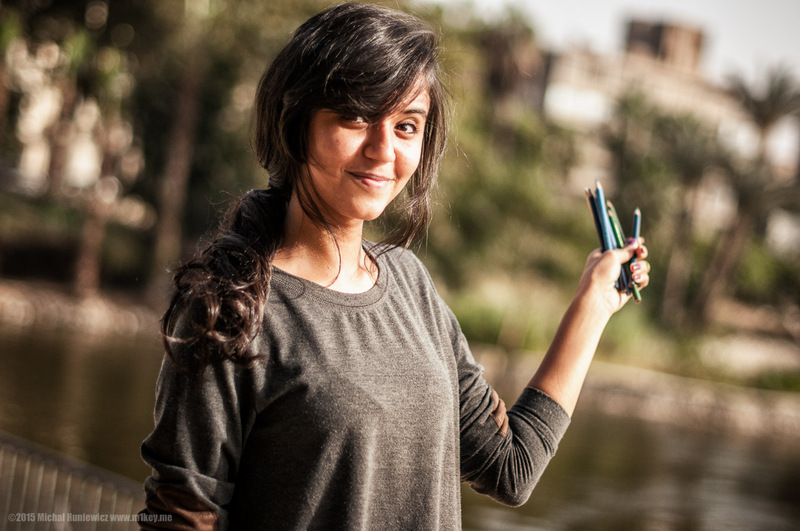 Welcome to Cairo! ISO 200, 55mm, f/10.0, 1/400s. 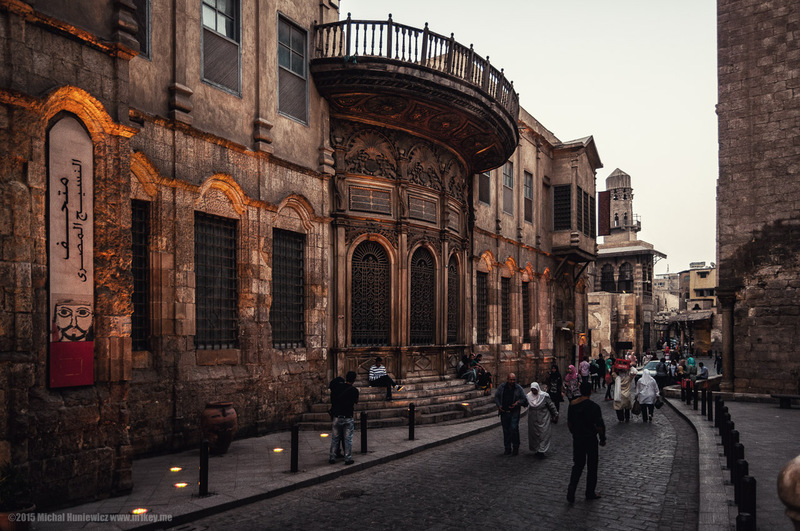 More exotic than Istanbul, noisier than Rome, less smelly than Fez, Cairo feels a lot more noble than Amman, and is even more of a twisted labyrinth than Jerusalem. It's incredibly, cruelly exhausting and demanding, but has so much to offer. 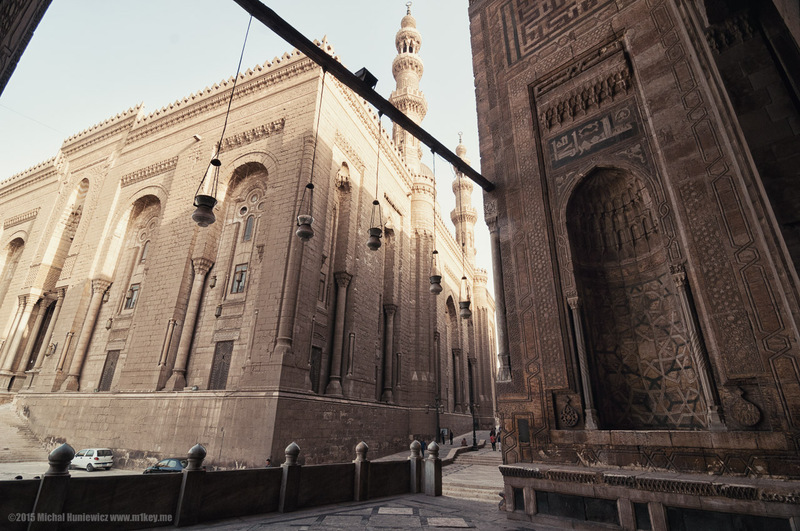 The walls create space that is to separate the pure grounds of the mosque (left) from the ordinary houses outside. A quick glance outside shows that this isn't such a bad idea. 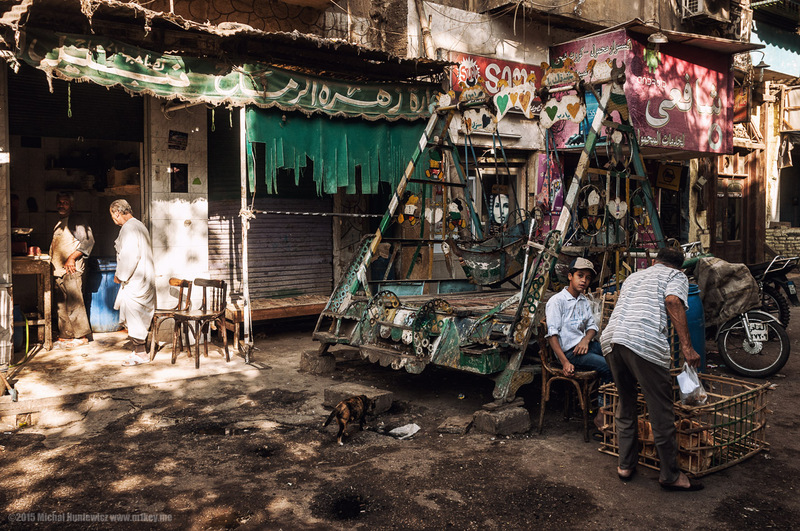 The streets of Islamic Cairo are in a rather stark contrast to the monuments in terms of maintenance, and although Anthony Trollope said "Poverty, to be picturesque, should be rural. Suburban misery is as hideous as it is pitiable", like Jules Adler, I thought otherwise. Click! 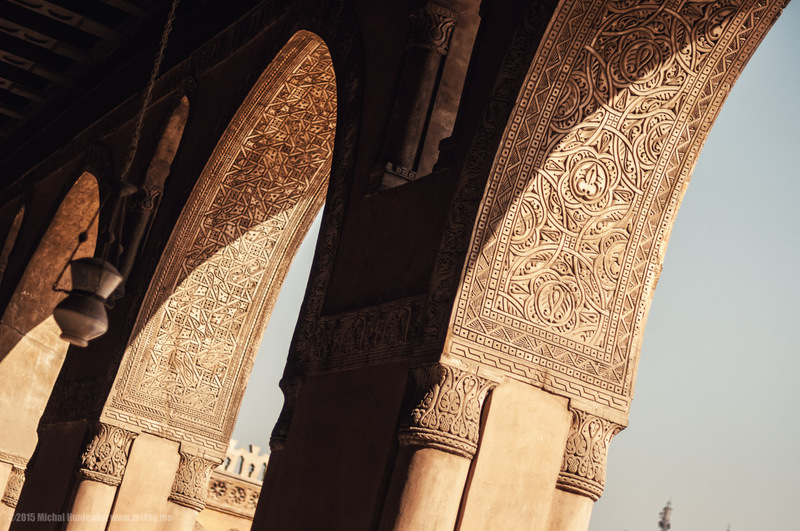 Please note the stucco on the arches - the geometric design of the decorations of the mosque shows that the craftsmen were using a pair compasses and square grids to create designs. 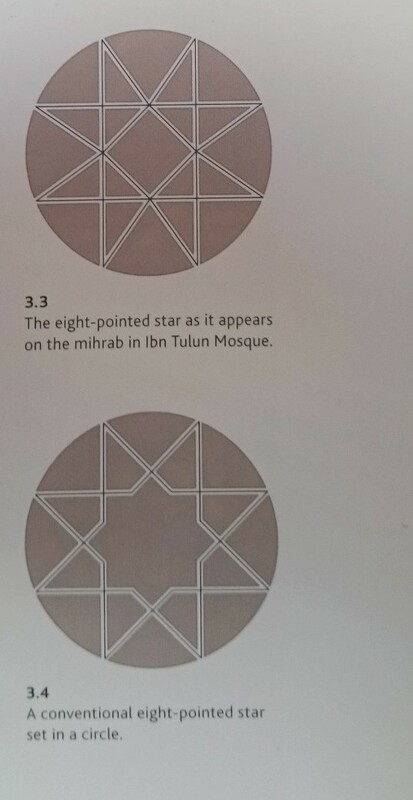 So if you have a ruler and a pair of compasses, you can learn to drawn similar patterns. ISO 200, 20mm, f/2.8, 1/60s. My OCD immediately kicked in, and armed with my Kindle, loaded to the brim with architectural books, I set out to understand what was going on. 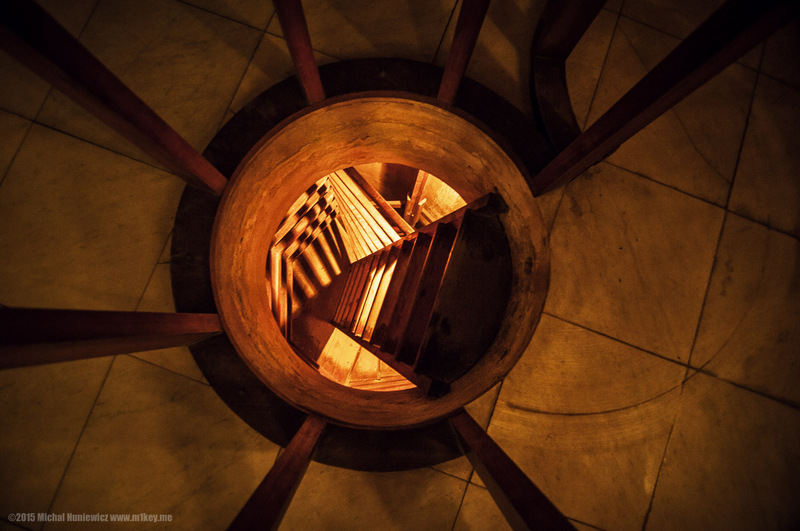 Most local people I talked to, fearful of simply saying "I don't know", made up horribly confusing stories about the origins of ablaq; and I even went to the library of Alexandria to find the answer. All in vain. 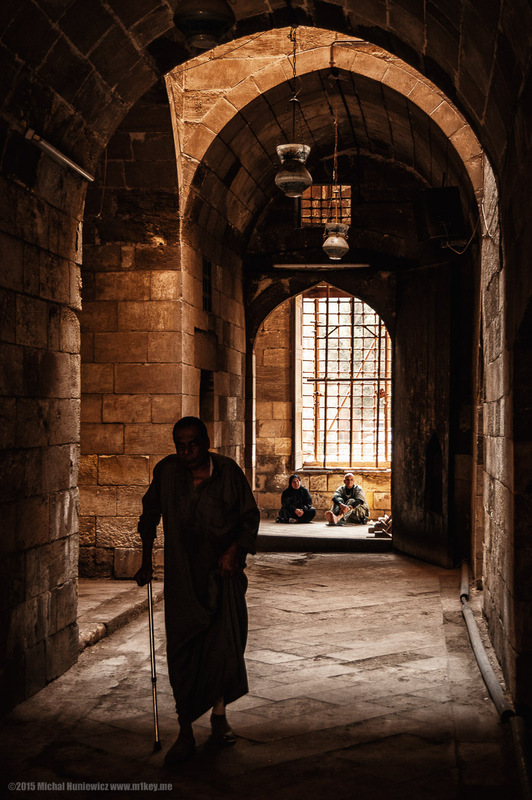 But, we shall return to ablaq later. ISO 200, 50mm, f/8.0, 1/1250s. 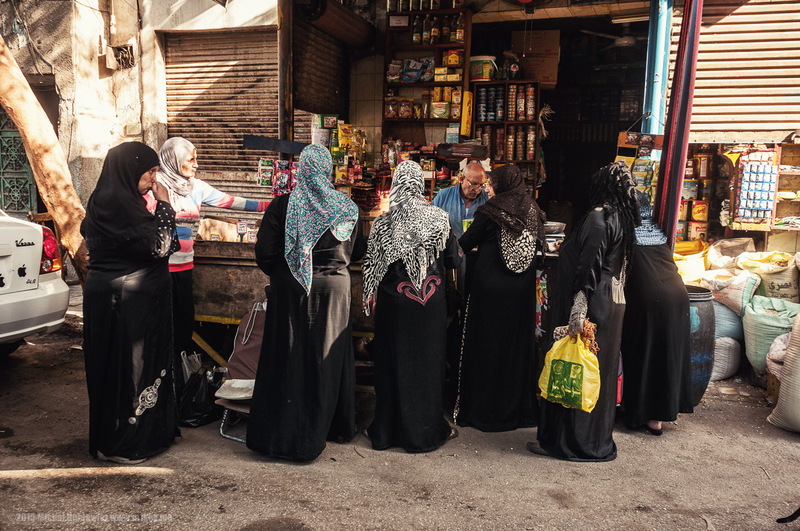 From what I was told and observed, there are parts of the city where women feel free to wear anything they like (like Zamalek), and then other parts where they have to be covered up for their own safety, whether they like it or not. In other areas, still, women are nowhere to be seen, and it made me feel horribly lonely, as it felt more like an open prison for men than a capital. ISO 200, 20mm, f/5.0, 1/160s. 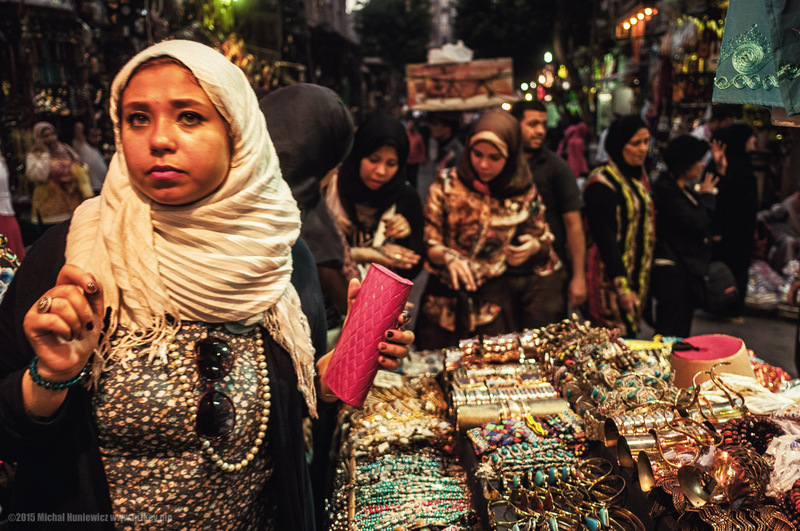 The city scape of Cairo is often as congested as the city streets themselves. 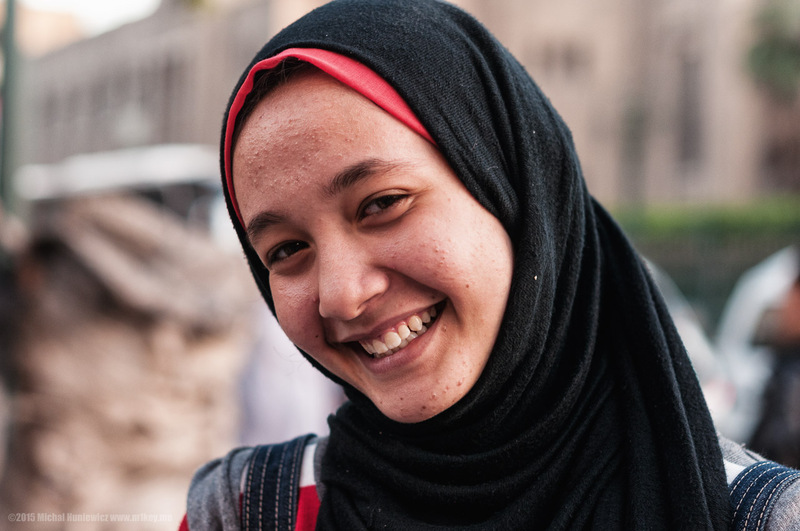 Cairo hasn't been able to keep up with the number of newcomers, and we will return to that and how the problem has been "solved" shortly. 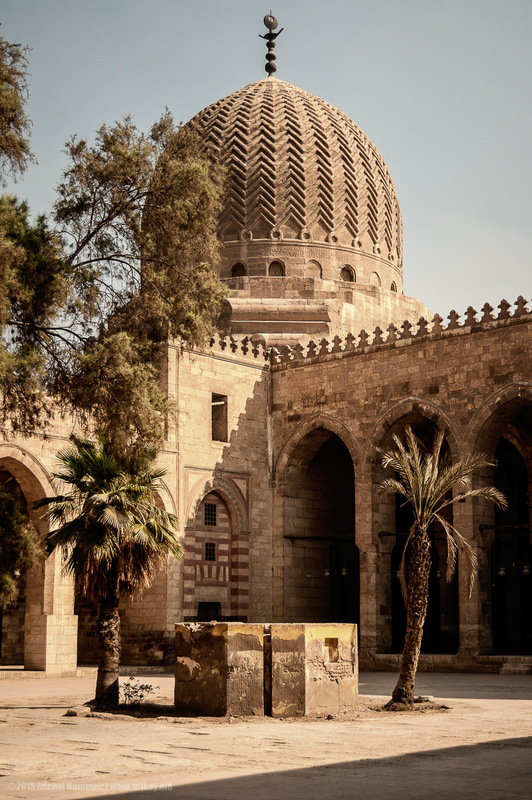 Cairo owes much of its splendour to the Mamluk Empire: the Mamluk sultan Al-Nasir Muhammad was a great builder (over 500 constructions in Egypt, including very roughly 200 in Cairo, during his reign), and then out of the three great Islamic cultural centres, only Cairo was spared the Mongol destruction that befell Damascus and Baghdad, thanks to the squadrons of Mamluk warriors ; and it gladly accepted the fleeing artisans from those two cities, hence all the foreign influence you can still see in what they had built. ISO 400, 11mm, f/2.8, 1/20s. The so called Saladin Citadel, where this photo was taken, isn't really much of a citadel now, as it's been heavily modified since medieval times. I had an interesting encounter there with a local girl (not the one in the photo) giving out brochures on Islam, some of them in Polish. Not only did she refuse to shake my hand, but she also proudly said that in Islam "women are man's most precious property". ISO 200, 50mm, f/4.5, 1/1600s. ISO 200, 210mm, f/9.0, 1/500s. 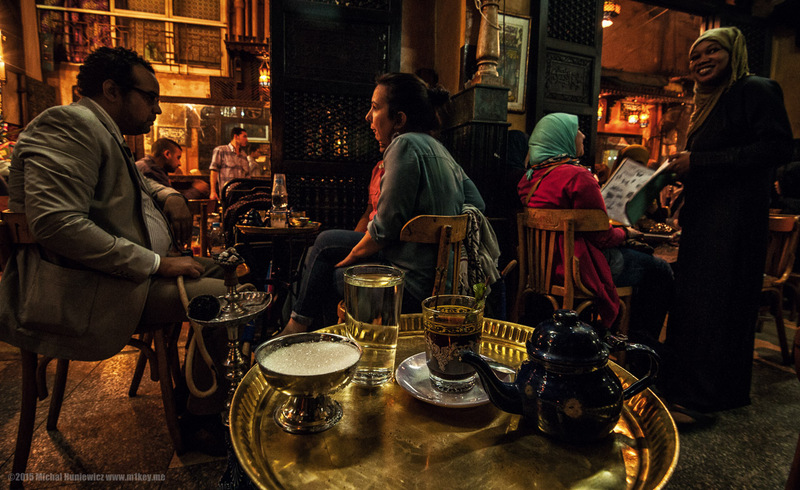 This is one of the cafés where the great Egyptian writer Naguib Mahfouz used to hang out, or so they say. You are constantly harassed by sellers and touts. Con-stant-ly. ISO 800, 11mm, f/5.0, 1/25s. And this is a sabil. Sabils are facilities originally providing free, fresh water for thirsty people who were passing by. This one also served as a school for children - that kind of schools are called kuttab. 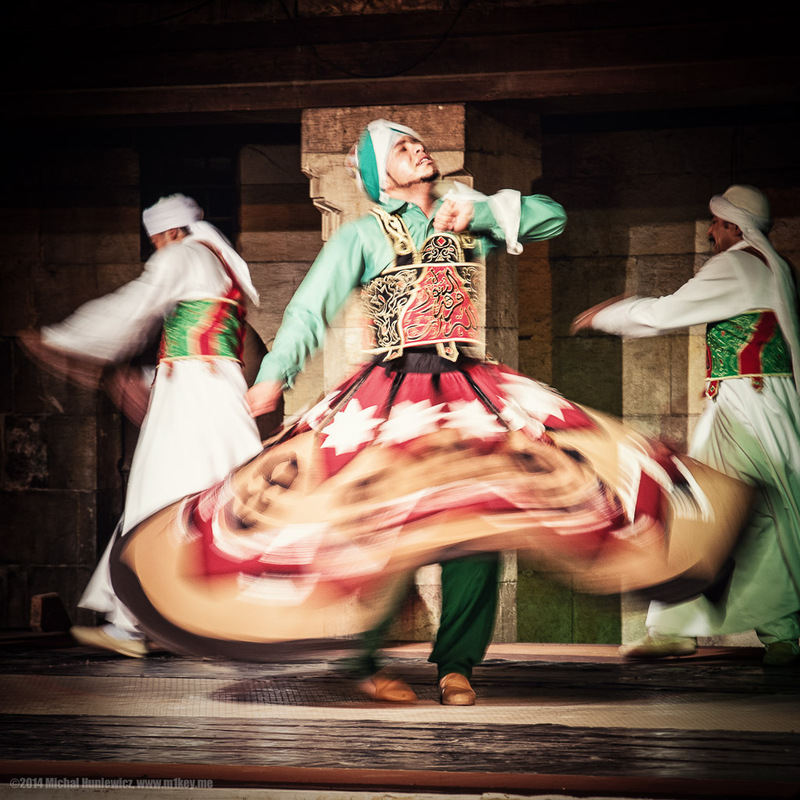 You may recall the modest sabil Sarajevo had to offer - both are examples of Ottoman influence. 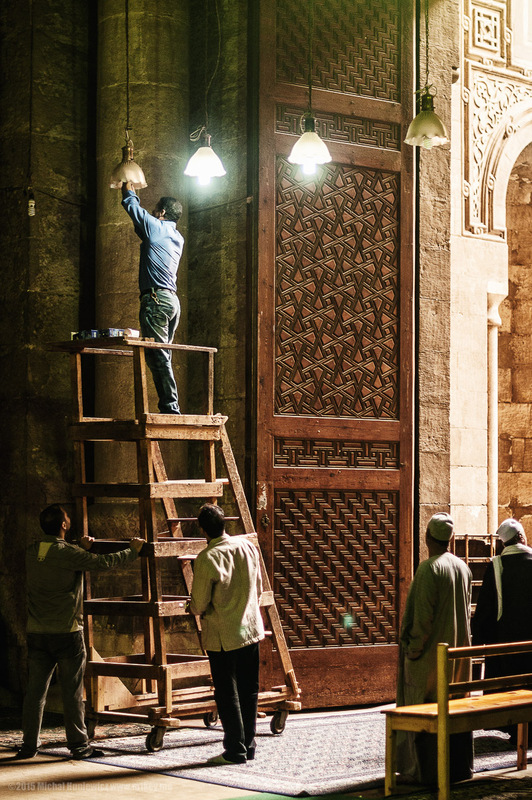 Indeed, under Ottoman rule, more emphasis was put on the construction of secular buildings than of religious ones. 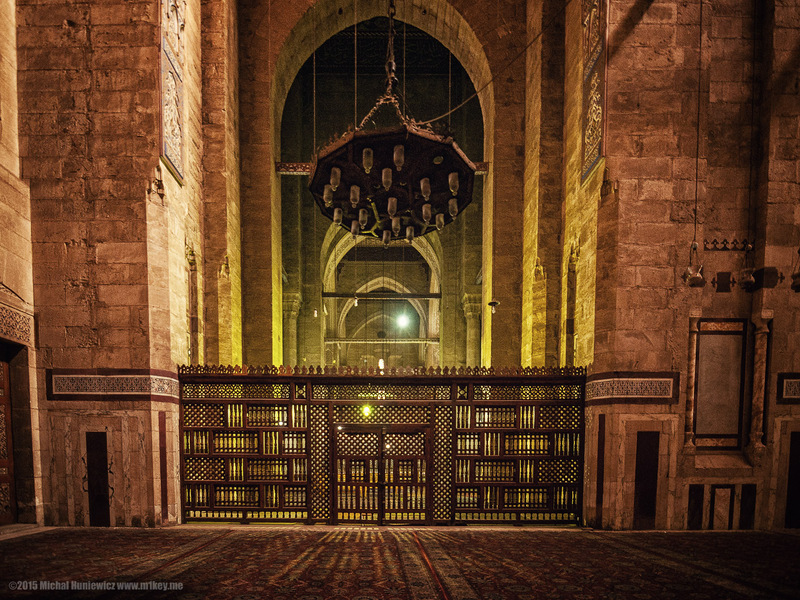 This is not to say the Mamluks didn't build any secular buildings, which they did, but very few have been preserved to this day, some having been demolished (palaces that inspired The Arabian Nights ) or neglected (hammams, the Islamic heritage of the Roman Empire ). 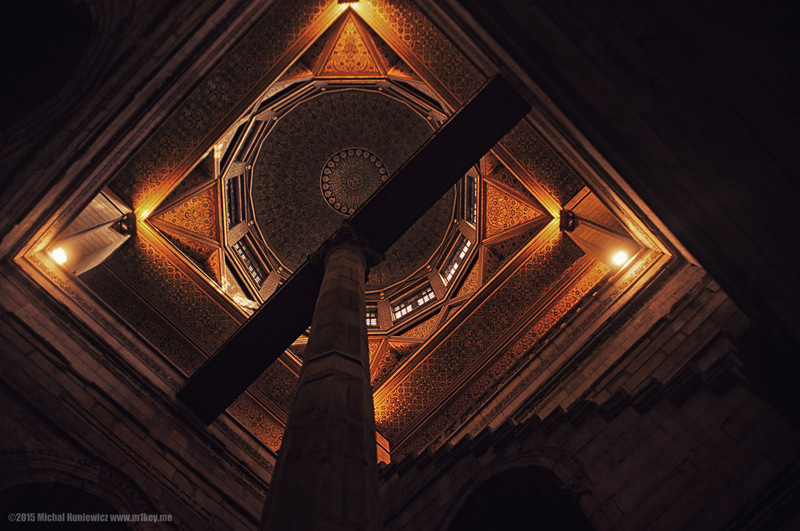 ISO 560, 11mm, f/2.8, 1/40s. 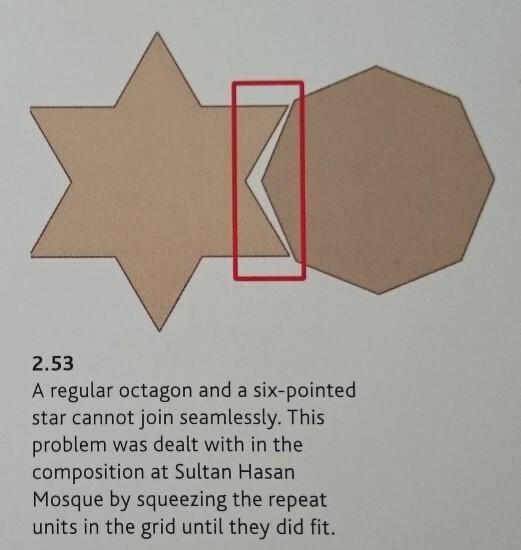 Well, yes, the Ottomans, with their capital in Constantinople... Cairo's luck ran out when it was taken over by the Ottomans, as that was when the artists and resources were transferred to the city known today as Istanbul - while the capital of Egypt arguably forever ceased to be a major player in Islamic arts. The Ottoman Empire could then boast countless achievements in the unthreatening realm of aesthetics (but, like other Turkic Islamic Empires, not so much in the realm of truth ). ISO 800, 11mm, f/2.8, 1/20s. ISO 800, 11mm, f/2.8, 1/15s. ISO 200, 20mm, f/2.8, 1/80s. 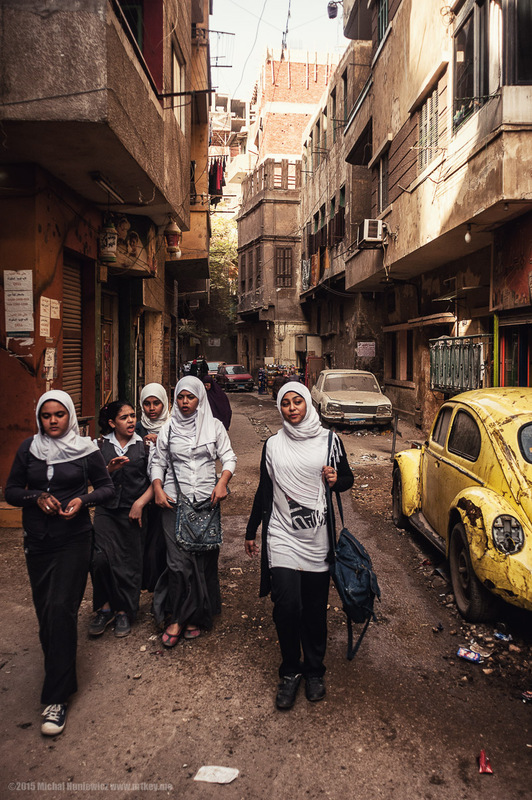 Schoolgirls in a neighbourhood where a woman hit me on the arm - not sure why! ISO 200, 20mm, f/3.5, 1/800s. 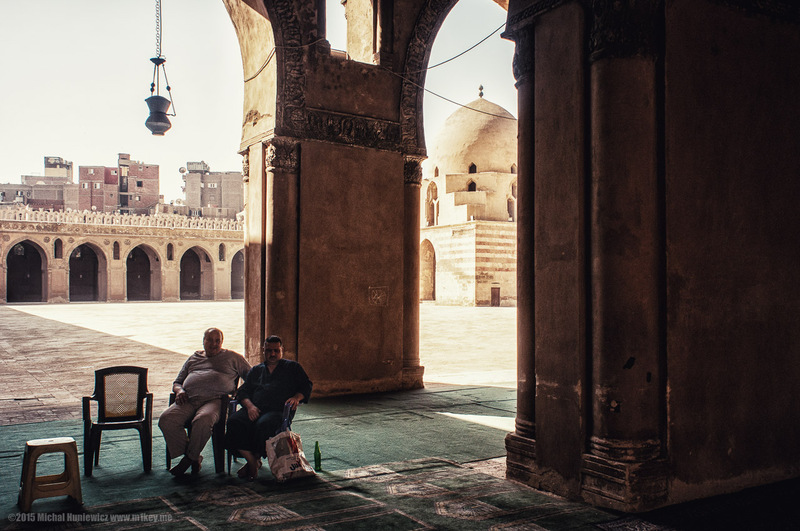 Egypt has always been at the mercy of the Nile: the drought of 1295 was causing 1,000 deaths a day in Cairo alone (the city population was below 200,000). Today, it is regulated by dams. 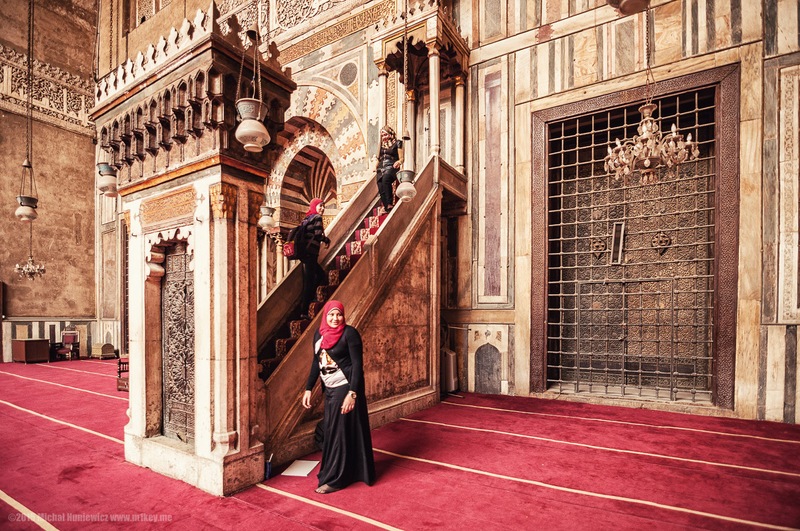 It wouldn't have been possible for me to enter the Nilometer if it weren't for the personal charm of this young lady, who sneaked our of her drawing class, and cajoled someone to finally show up with the keys. Shukran! 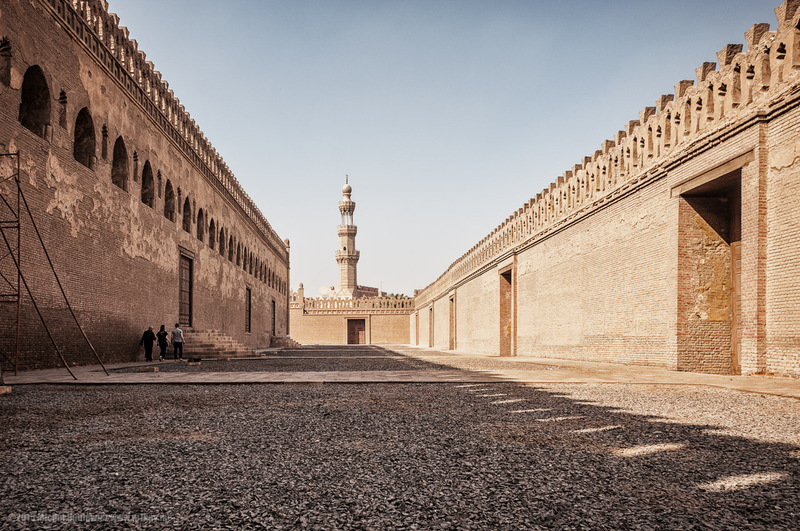 Here, the Mosque-Madrassa of Sultan Hassan and the much younger, 19th century Al-Rifa'i Mosque, uncomfortably close to the right. ISO 200, 20mm, f/2.8, 1/8000s. ISO 200, 20mm, f/5.0, 1/640s. 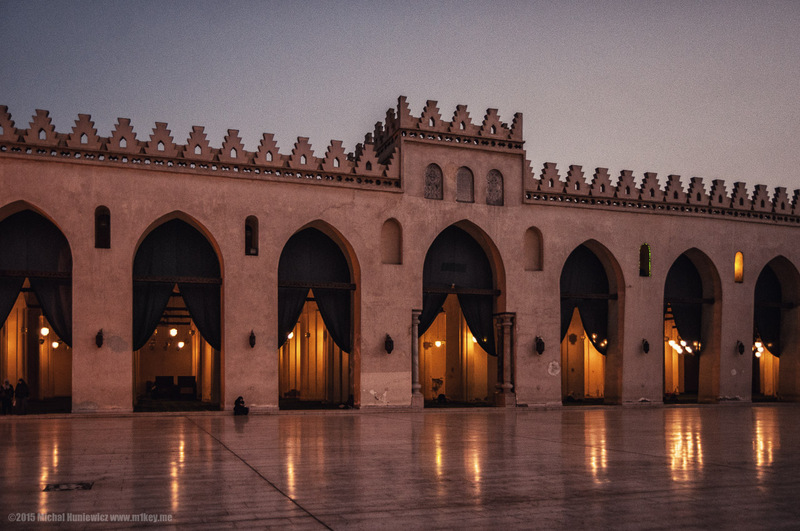 The older of the two mosques certainly feels very impressive and magical. It's ablaq working its magic, you see. 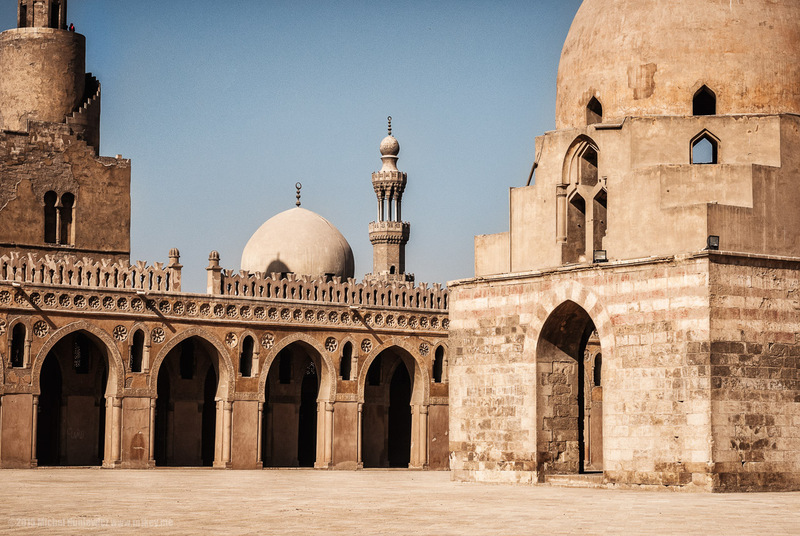 In Egypt, the Islamic condemnation of figurative images was taken more seriously than in Central Asia (at least in the case of religious buildings), so don't expect to see any, but do expect impressive geometric designs. ISO 800, 11mm, f/3.5, 1/50s. 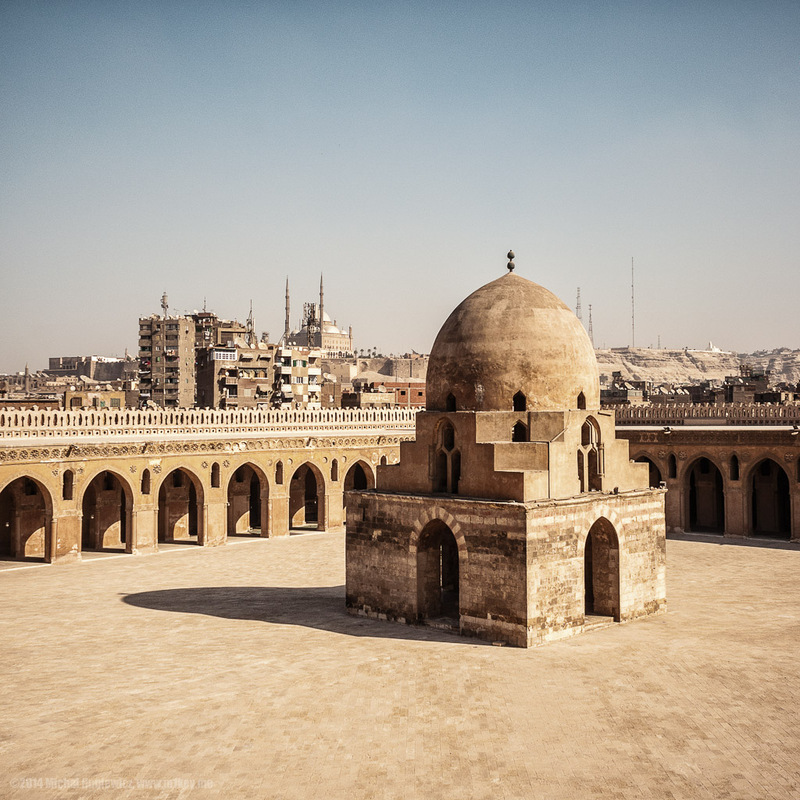 This kind of vaulted space with walls on three sides and one end entirely open is called iwan - that architectural formula came to Cairo from Persia. . The oil lamps were used during nocturnal prayers. The enormous iwans are 26 metres tall - that's the height of an eight-storey building. 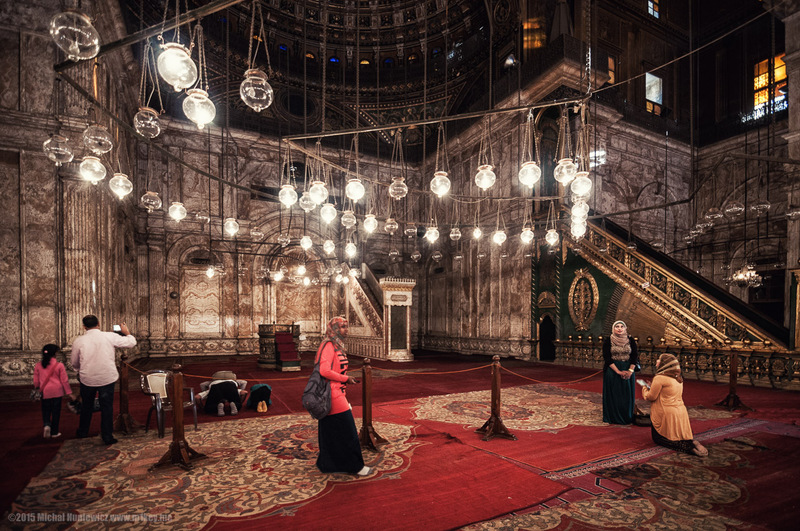 Also, pay close attention to the floor - that's Byzantine and Roman influence joined with Islamic geometric design. Photo taken from a shaky ladder to minimise lens distortion (and on shaky knees). ISO 200, 11mm, f/2.8, 1/800s. 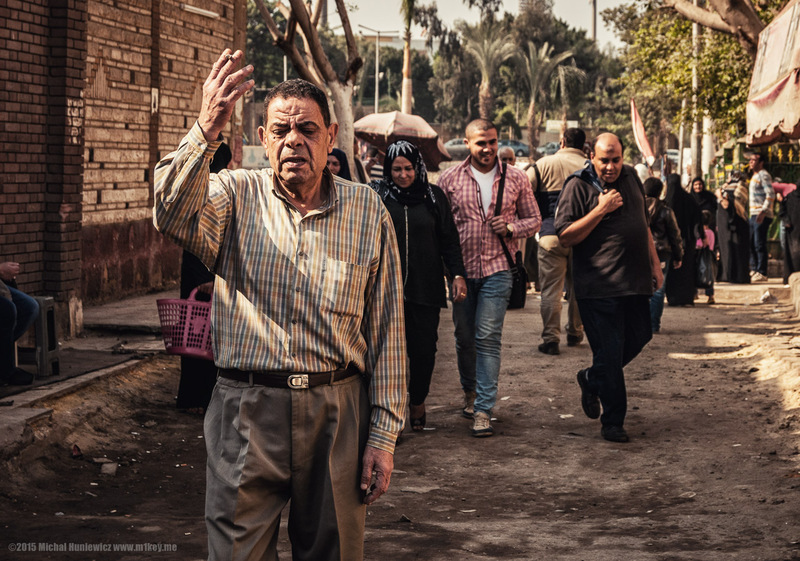 While I was there, a man showed up with an American couple and another woman, their Egyptian guide. 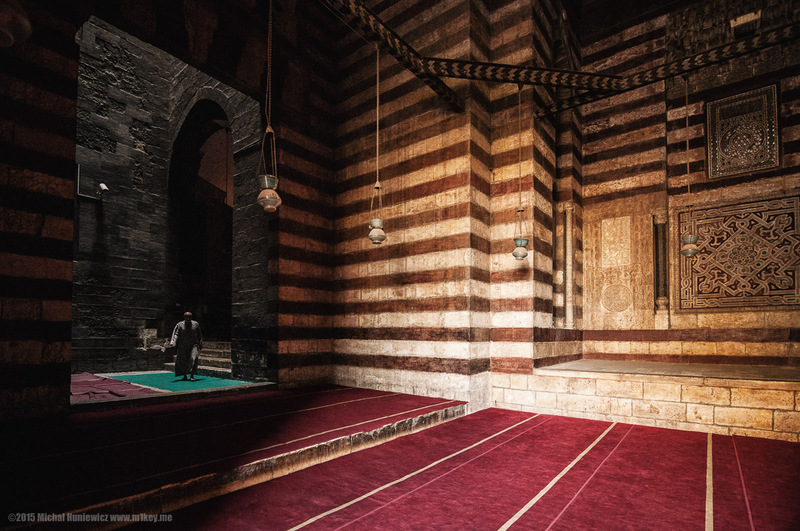 He opened the door to the left of the minbar, and I sneaked into what was the funerary chamber, following them. There was a tomb inside, but the real purpose of that visit turned out to be the superb voice of the man, when he sang a prayer just for us. This would have been so beautiful and impressive, if it wasn't for the American woman incessantly going "Oh yeah, amazing", "Wow, yeah, cool" every time he paused to breathe in. ISO 280, 11mm, f/2.8, 1/40s. ISO 200, 11mm, f/8.0, 1/160s. 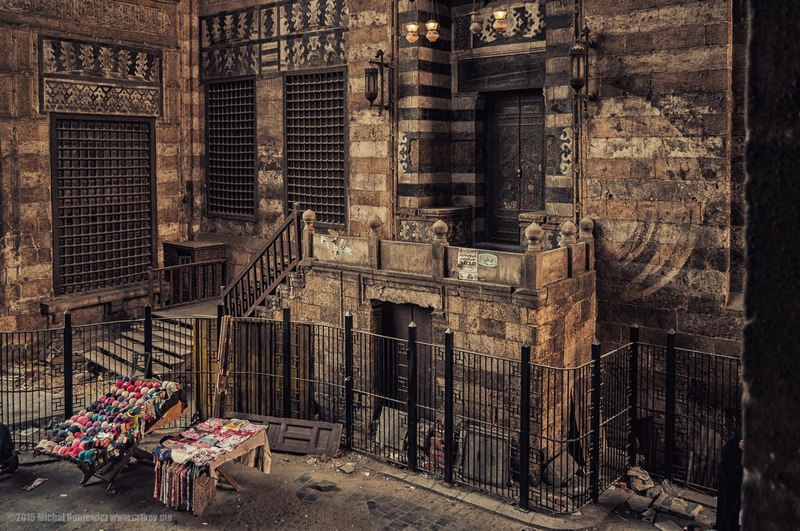 I then visited the younger Al-Rifa'i Mosque. One enters through this door, as the main door is now closed. 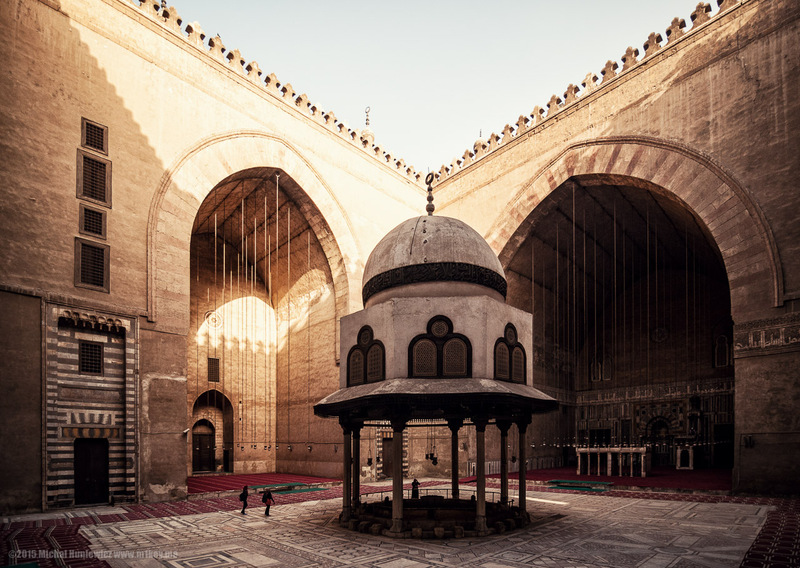 This mosque is an example of the neo-Mamluk style. 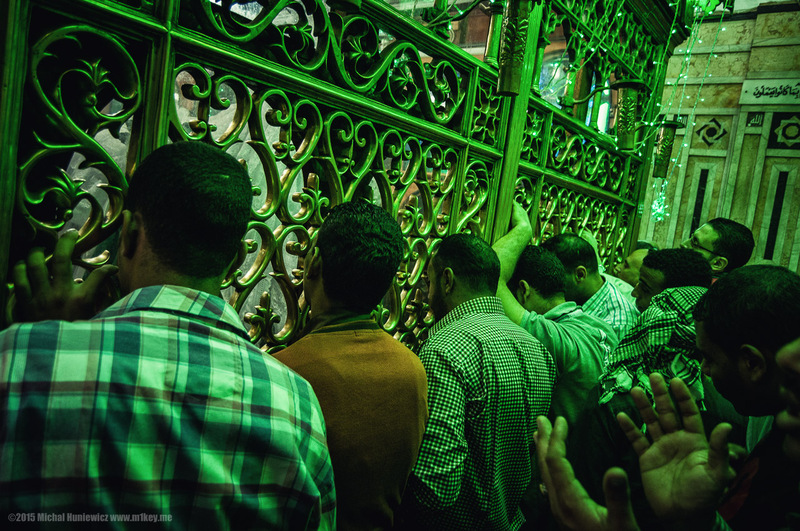 It contains a tomb of a man considered to be a saint in his lifetime, Shaykh 'Ali al-Rifa'i, and people walk around it, touch it, and seek his blessed intercessions. Sounds a little pagan to me! 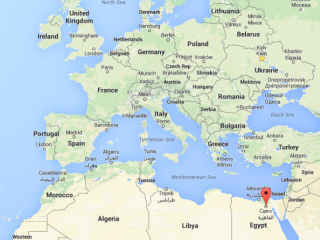 There is no evidence he has ever been to Egypt during his lifetime , but who cares. ISO 800, 11mm, f/2.8, 1/10s. Minaret of Qaytbay visible in the photo. ISO 200, 11mm, f/5.0, 1/160s. ISO 200, 18mm, f/7.1, 1/640s. 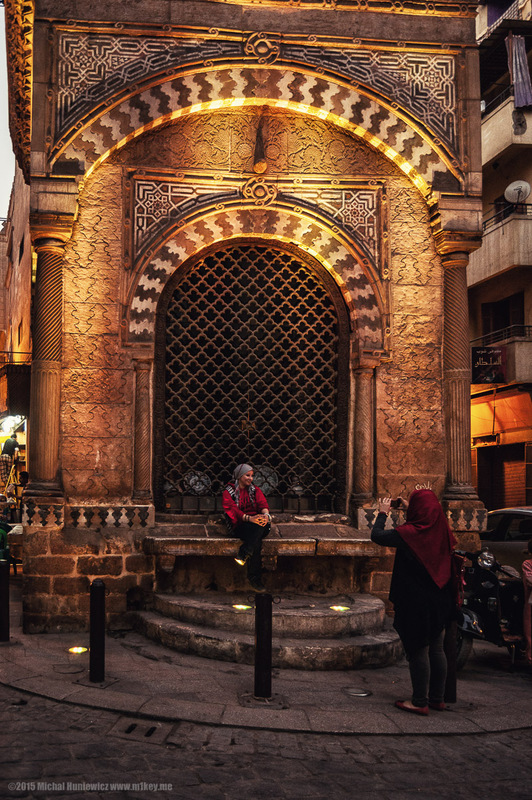 The last flowering of Mamluk architecture, the Ghuriya, was restored following an earthquake in 1992 , and serves as an opening into the Muizz Street. ISO 220, 20mm, f/3.5, 1/30s. 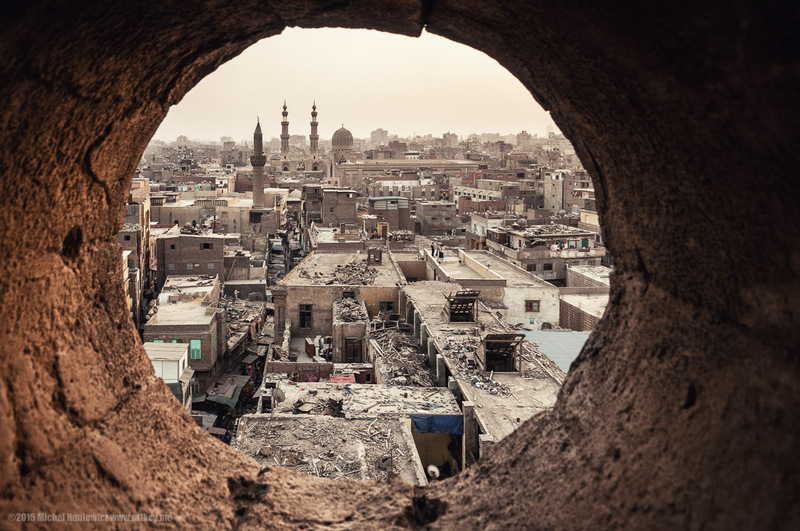 Climb to the rooftop, and you will see the panorama of the Fatimid medieval city, which appeared to me a bit post-apocalyptic in character. ISO 200, 18mm, f/6.3, 1/80s. ISO 250, 18mm, f/3.5, 1/40s. 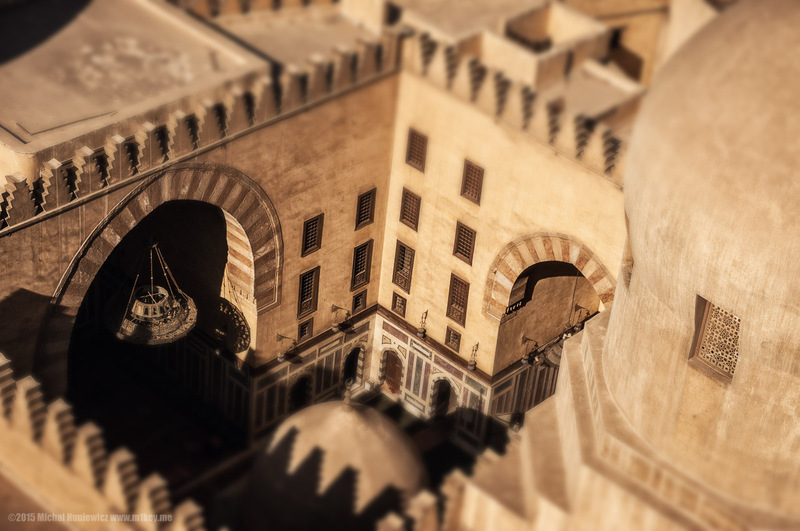 ‘Abd al-Rahman Katkhuda himself, who the sabil is named after, was a passionate enthusiast of architecture and a patron of arts. 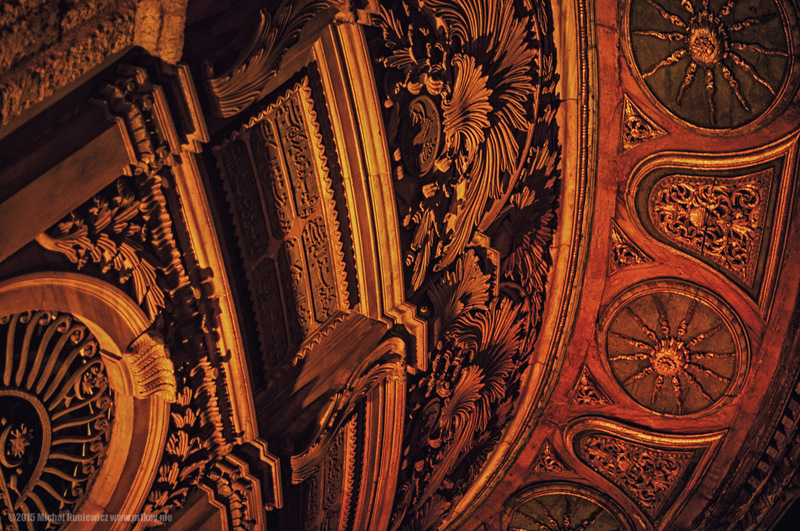 ISO 450, 18mm, f/3.5, 1/40s. 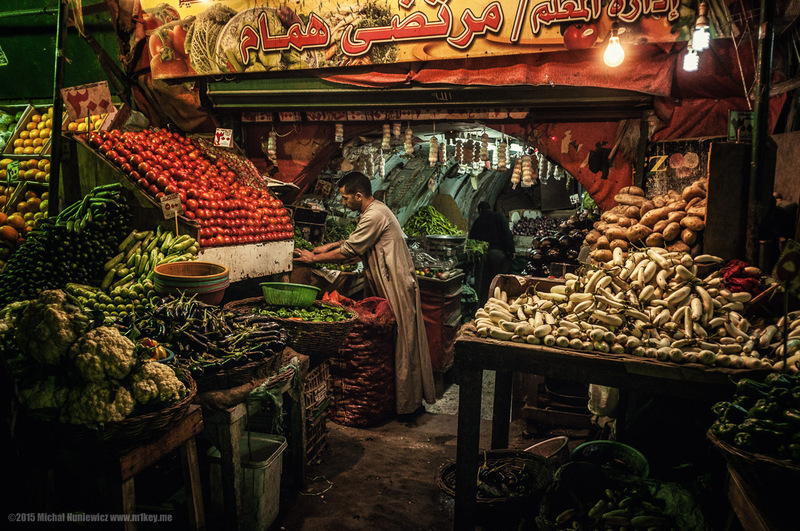 Selling groceries in Medieval Cairo. 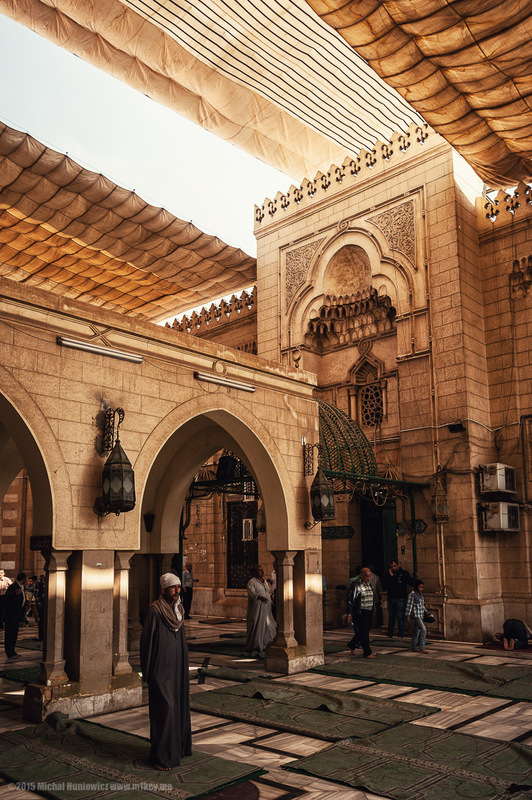 Al-Hakim was an interesting fellow that brought an end to the atmosphere of tolerance: he forbade cobblers to make shoes for women to keep the latter at home, forbade eating of the so called Jew's mallow, and had all the honey dumped into the Nile. The list goes on. ISO 560, 18mm, f/3.5, 1/40s. ISO 200, 70mm, f/10.0, 1/8s. 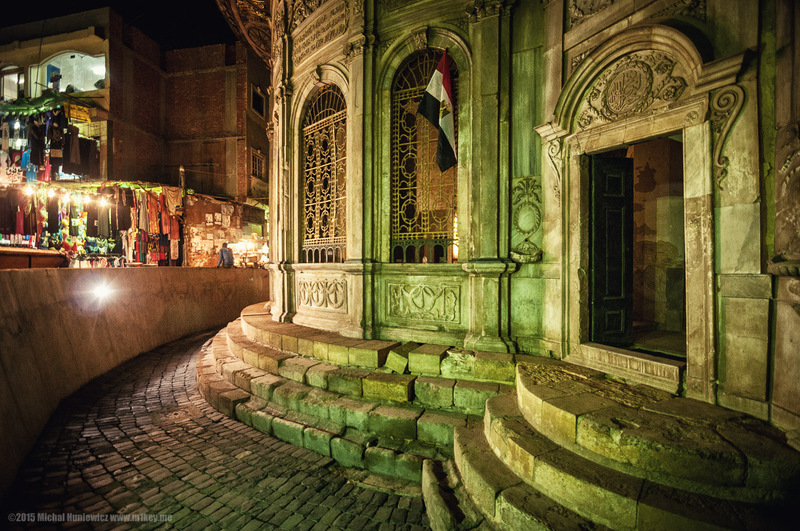 Elaborate stucco on one of the buildings of Medieval Cairo. 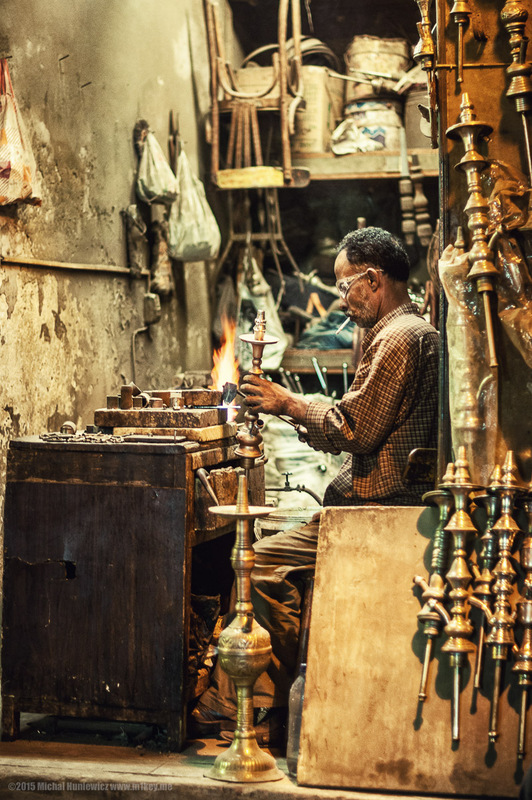 Craftsman making shisha/hookah pipes. 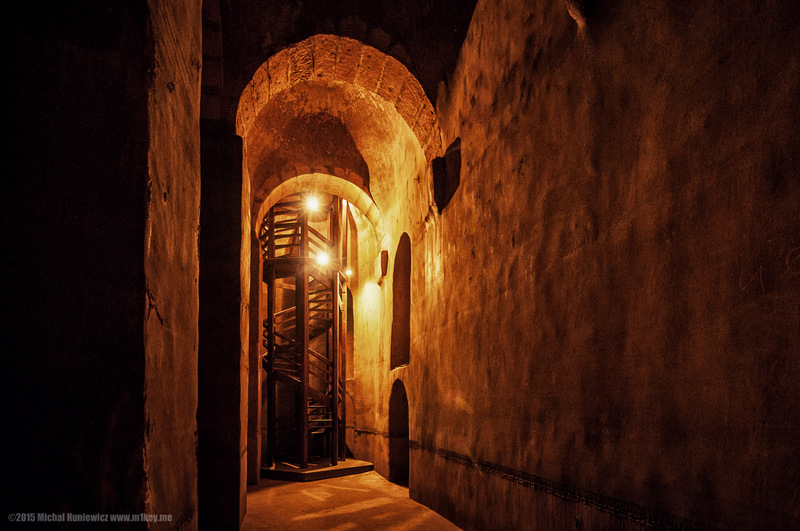 It's really easy to get lost in that area, a maze of winding little streets, misleading shortcuts, treacherous paths leading to nowhere, and claustrophobic passages. ISO 250, 50mm, f/1.4, 1/40s. 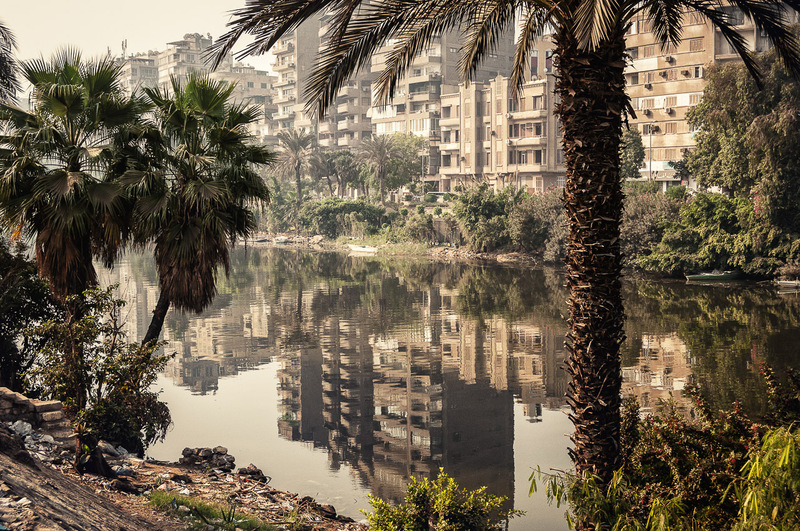 In this photo, a distributary of the Nile and modern Cairo architecture, which reminded me of socialist architecture - possibly because that's kind of what it is. 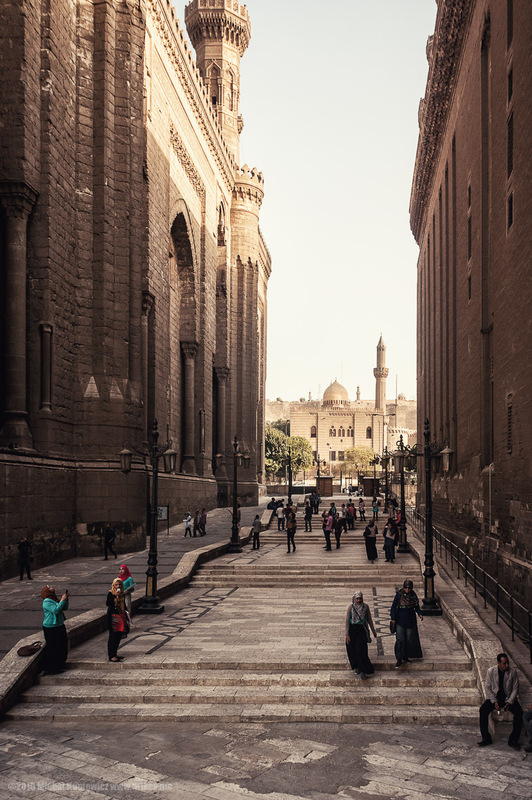 Egypt had a friendly relationship with the USSR during the Cold War, and the Russians have historically provided support to Egyptian Christians (both Coptic Christianity in Egypt and Orthodox Christianity in Russia are related through the Byzantine Empire) . ISO 200, 30mm, f/8.0, 1/500s. 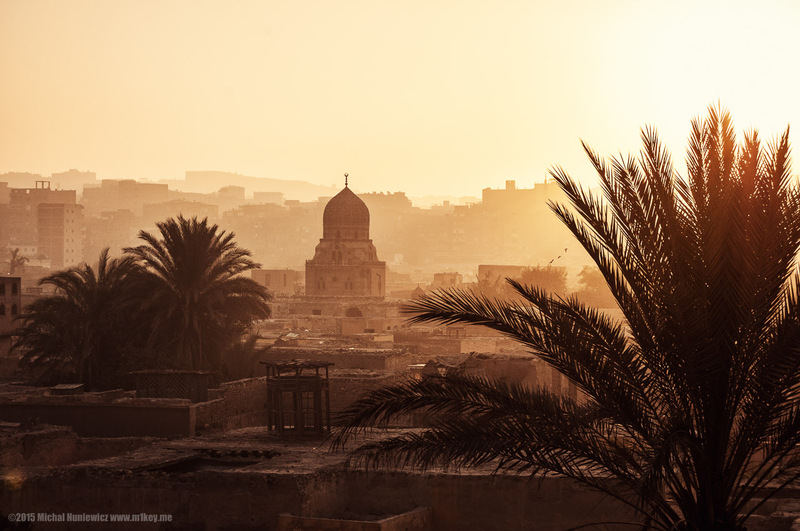 It has seen the Umayyad, Fatimid, Mamluk, Ottoman, French, and British empires come and go, as their power waned - one of the most fascinating areas of Cairo turned out to be... the City of the Dead, or el-Arafa, the ancient Necropolis that lies in desert sand. 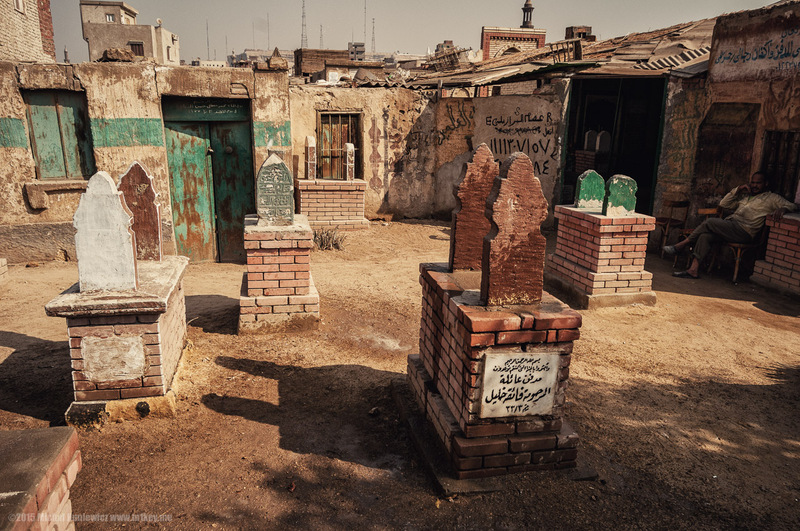 The City of the Dead is a group of vast cemeteries - now, if you are from the West, you probably believe that cemeteries are for the dead, but in Cairo they are the equivalent of Indian slums - cheap-to-live area for newcomers to the city, apart from serving their more conventional purpose. 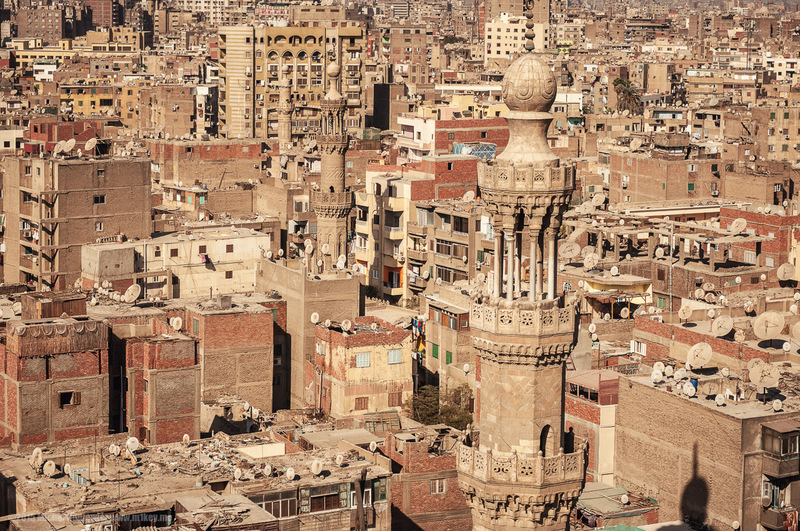 This is, indeed, how Cairo has been dealing with the housing crisis. ISO 200, 18mm, f/4.0, 1/125s. ISO 200, 45mm, f/5.3, 1/640s. And this is what it looks like today - people still live among the tombs. 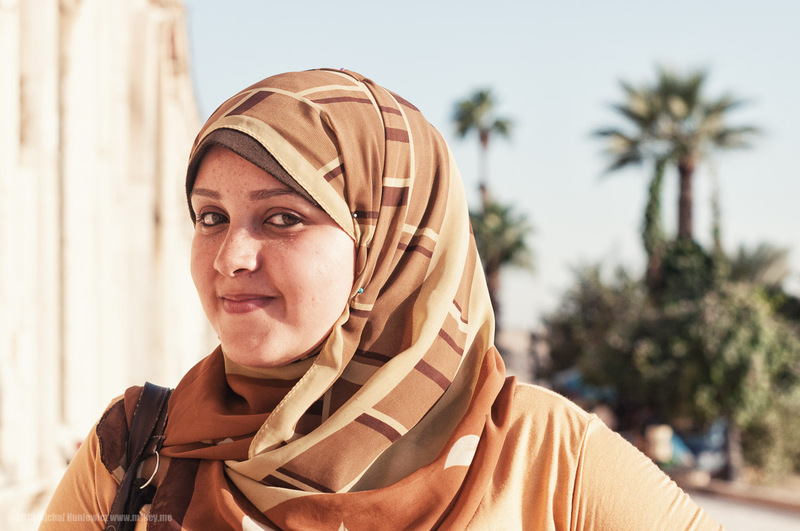 I was advised against going to the City of the Dead for safety reasons, and while it was intense and a bit rough, and a few women hit me (again! ), and it wasn't terribly photography-friendly, it was overall fine. ISO 200, 34mm, f/4.5, 1/2000s. 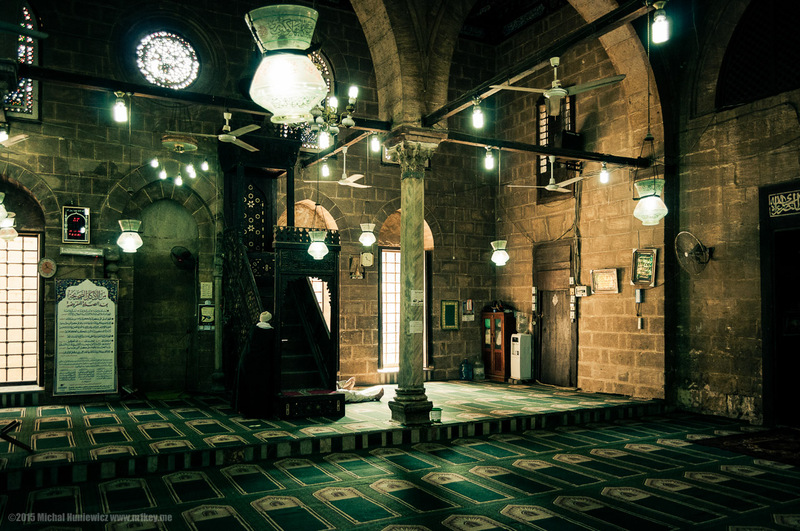 The hall leading into the mosque sanctuary. Later, before entering the chambers, you are asked to not only remove your shoes, but also to keep them soles-together, for respect. ISO 220, 38mm, f/4.8, 1/40s. 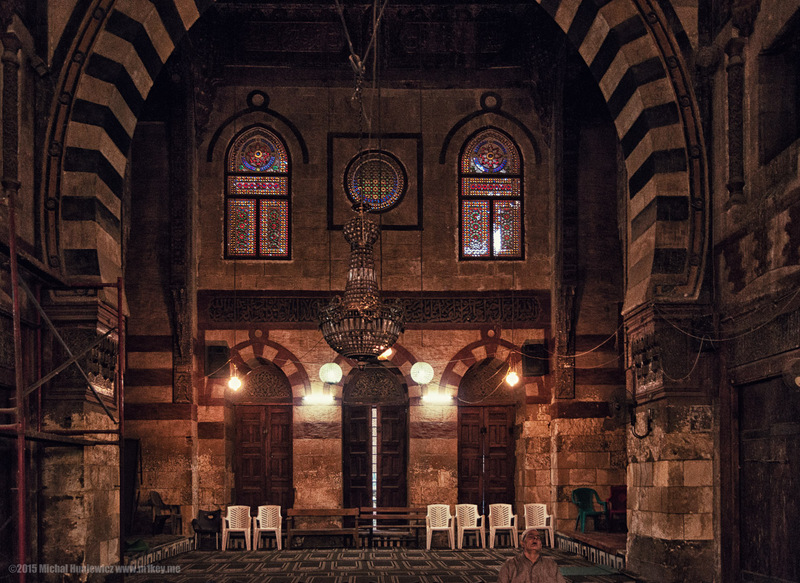 I really liked the canopy in this mosque, complimenting the muqarnas (stalactites) in the pishtaq niche, above the window. The atmosphere was unique due to the Sufi singing you could already hear from the outside. Here's a tomb just like that, and of a female saint, as well. 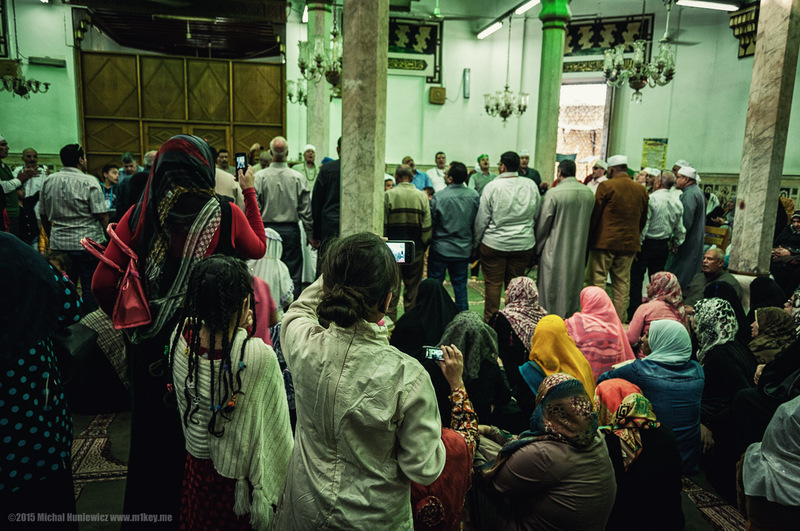 To be honest, it felt pretty weird to be squeezing there with my camera, amidst prayers and wailing, as I was probably the only atheist in the area (being an atheist in Egypt lands you in jail these days ; I only met one fellow godless person during the trip). And that's the singing. Soon, I was hit on the arm by another woman (again...), because I was standing among the women, as you can see. Funnily enough, I was somehow dragged among the performers, and, trying not to stand out, ended up singing with them praises to Allah... I think, because I didn't exactly follow the lyrics. 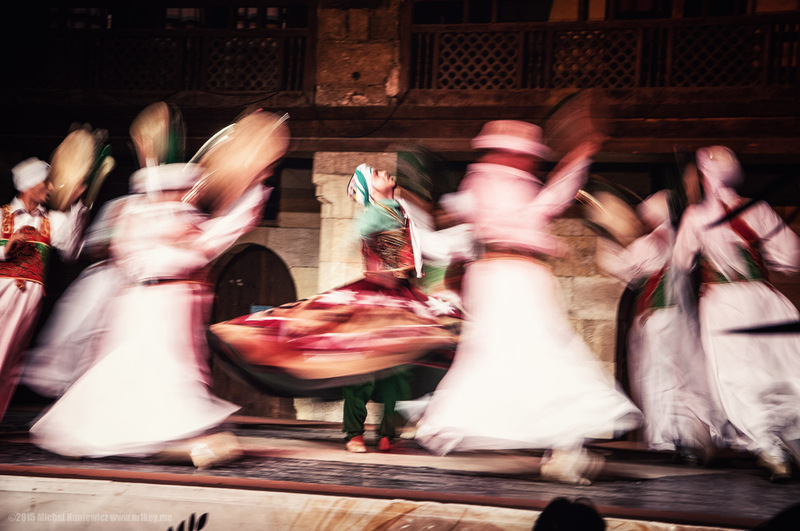 That's how I ended up being an atheist dervish in Cairo! Very interesting experience, and the fact that some people recorded it, terrifies me. Please, don't search for it on YouTube. 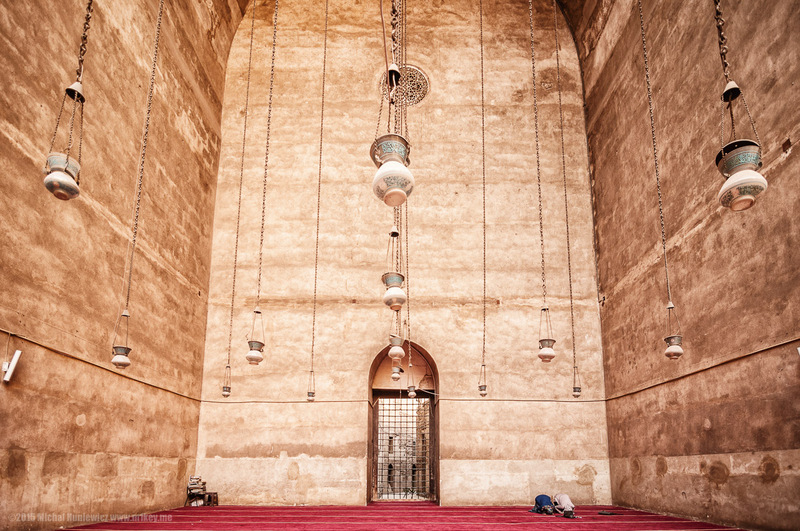 I post this photo in defiance of the imam of this mosque, the Sultan Qaytbay Mosque, who would not let me take photos, even though the mosque had been renovated by the European Union, which I am a proud citizen of. 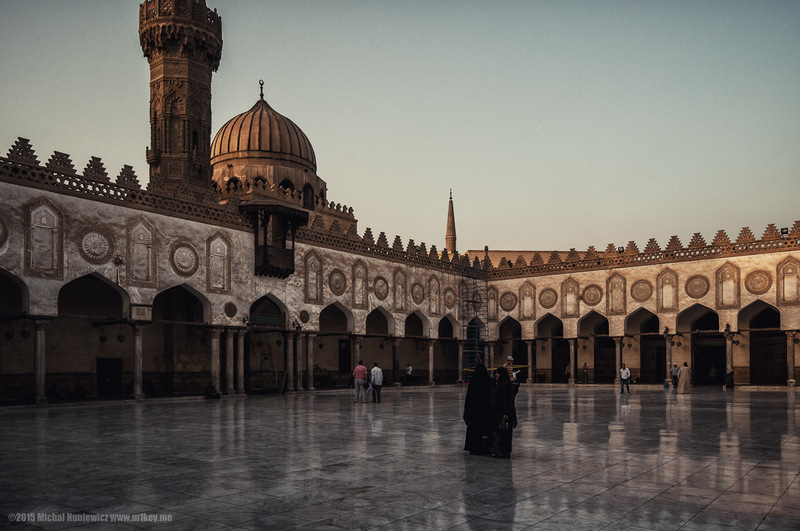 This is possibly the most beautiful mosque I have ever seen (even despite the imam's sense of aesthetics, which allowed him to put plastic chairs inside), and I really regret not being able to spend more time there and photograph it properly. 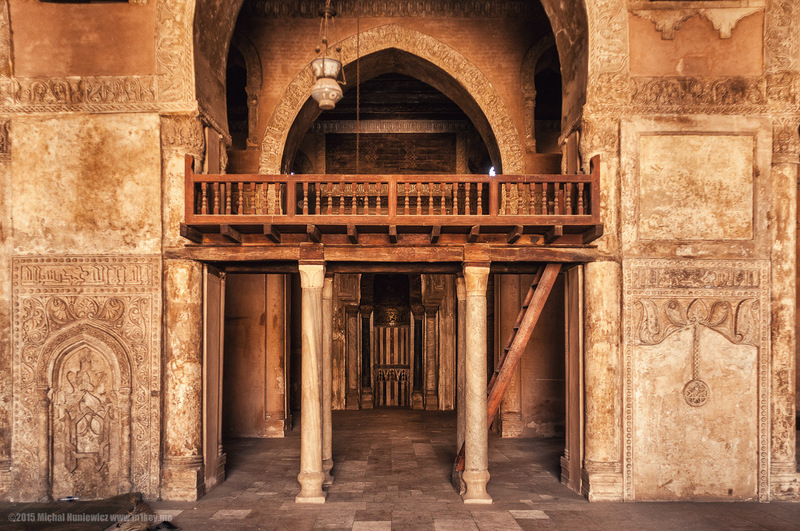 This elegant building contains rooms for students, a burial qubba, and a sabil for passers-by to drink from, above which a kuttab is located for the schooling of children. 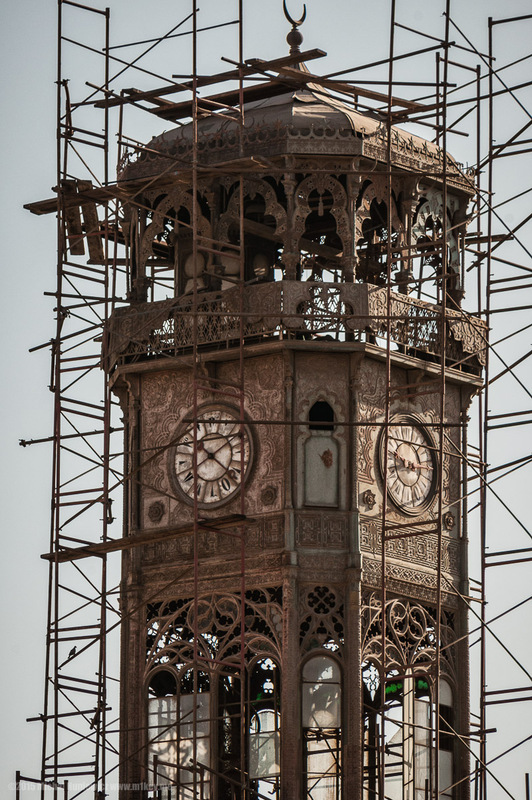 It also features magnificent ablaq, my favourite element of Islamic art, as you know. Ah, I finally did find the answer as to its origin, and the confusion was caused by... an error on Wikipedia, which I have now fixed. Rather down to earth! 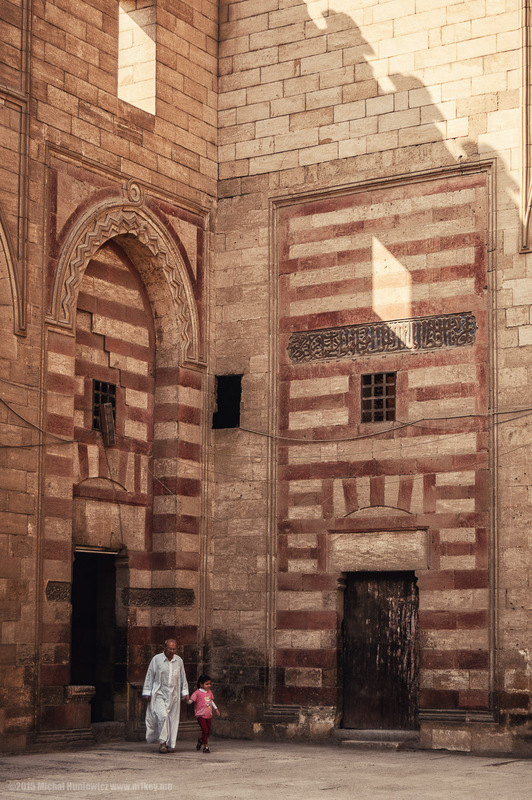 Ablaq originates from Syria, where it was used possibly as early as in the 7th/8th century, and it is based on Byzantine alternating brick patterns. It is only the term itself which is from the 12th century. See more ablaq in Islamic Spain? For all the nicely-sounding facts about the Sufi beliefs, such as less focus on the scripture, more focus on intuition, direct contact with god, psychedelic practices (Islamic hippies? ), tolerance, high hopes of Western governments  - the reality of Sufism and dervishes has been historically rather disappointing. ISO 200, 92mm, f/5.6, 1/10s. 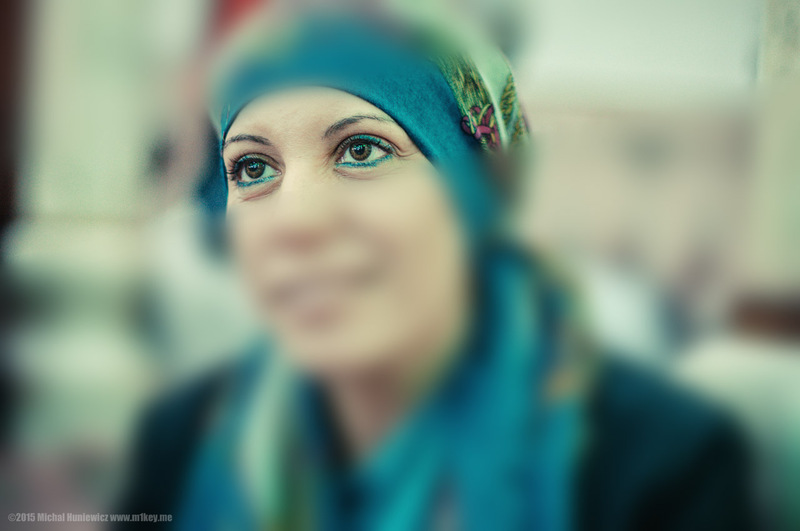 Finally, the portrait of a woman whose face I am not allowed to show here, but who stepped in and bravely saved me from a somewhat enraged crowd in a mosque, which I very much appreciate - thanks a lot, K.! Being an infidel got me into a bit of a situation, and this could have been a whole different story if it weren't for her. These random acts of kindness from complete strangers make travelling such an amazing experience. ISO 200, 50mm, f/1.4, 1/100s.